LavaLife is a popular and well-known online dating site with over 15 million members.Launched in Toronto, Canada, LavaLife has spread to the US, UK, and France, and is available in French too! LavaLife is more of a classic online dating site, as it puts emphasis on its members doing the nitty gritty work of online dating. That means creating a simple profile, and browsing for your match! There are many features about LavaLife that make it as popular as it is. Let’s take a look! LavaLife is completely free, and allows its free users to have almost full access to the site’s features. This is quite unique to online dating sites, as many sites don’t let its free members do much. This means you can look up different user profiles, navigate for matches based on location, and respond to emails. LavaLife is unique because it lets its members specify what category of dating they’re looking for, by offering different categories on the dating site. For example, if you’re looking for a casual hook-up, you can browse for matches in a casual hook-up section, while those looking for more intimate encounters or serious relationships have their own categories too. LavaLife doesn’t discriminate! There are tons of different types of dating. Sometimes you’re on the go and can’t make it to your computer for hours, and even days. But most people are with their phone all the time! The LavaLife mobile app lets you access your profile, other profiles, and receive free text alerts to your phone! Dating-on-the-go has never been this easy! LavaLife voice is one of LavaLife’s popular features that lets you connect with singles over the phone, and it’s 100% free! Even though LavaLife has free membership, an upgraded account will give you access to initiate emails, video chat, and use instant messenger. Unlike many online dating sites, LavaLife doesn’t have a tedious signup process, and is easy to join! LavaLife provides new users with free access to most of the site’s features! LavaLife provides is set up like 3 dating sites in one, which let’s users to browse for matches in a category that represents what they’re looking for too! Even though signing up is easy, it may become frusterating to do all the work alone. Without matching systems and relationship questionnaires, LavaLife makes the challenge to find the perfect one even harder. LavaLife is loaded with advertisements which can become quite annoying! 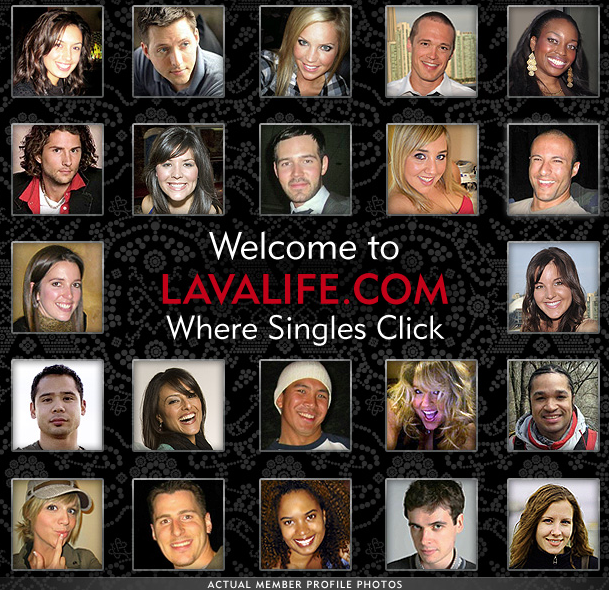 LavaLife has become one of the most popular and well-known dating sites. LavaLife is easy to sign up, and you can’t reap most of the site’s benefits for free! LavaLife makes things easy for you by dividing the site into different cateogires, depending on what you’re looking for. This is an extremely unique feature, as some people know exactly what they want, and only want to browse for people looking for the same thing. LavaLife is very user friendly and is constantly updating its users with new promotions, deals. LavaLife is an amazing place to look for love, romance, or even a casual, fun hook up! Try it out!